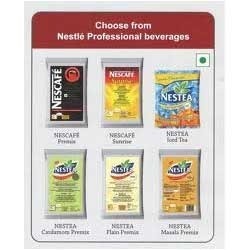 Our organization has gained an immense expertise in providing our customers with an exclusive array of Beverages Sachets. Our offered range consists of Sweet Corn Soup, Lemon Tea Sachet, Nestle Premix Powder, Horlicks, Ginger Tea, Masala Tea , Flavored Green Tea, Nestle Lemon Tea Sachet and many more. Our entire gamut is processed making optimum utilization of all the available ingredients, in adherence with the industry set quality parameters by our well known vendors. To meet the exact requirements of our valued clients, we are providing these products in various sizes packing and different quantities. 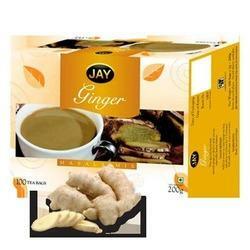 Backed with decades of experience in this domain, we deliver our clients a wide gamut of Flavored Green Tea Sachet. These hygienically processed range is high in demanded for their excellent medicinal & health properties and are available in a perfect blend of strong antioxidants such as polyphenols, catechins, flavonoids, glycosides, carotene and fluorides. 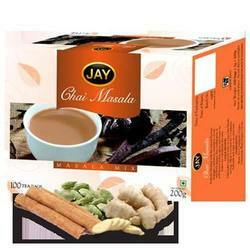 With a customer approach mindset, we strive to provide our clients a wide spectrum of Masala Tea Sachets. These sachets are processed using optimum-grade ingredients, in accordance with the international quality parameters under the supervision of our experienced vendors. Available in various sizes and custom-packs this range is blend of Indian spices such as cardamom, cloves, black pepper, nutmeg, ginger, cinnamon and star anise. Backed by profound experience of the industry, we are presenting a vast variety of Nestle Premix Powder Sachets 1Kg. All the products offered by us are processed using high quality ingredients as we source them from the most trustworthy vendors of the market. Looking for Beverages Sachets ?